Taxing digital economy players a daunting task? KUALA LUMPUR: The two tax captains of Malaysia — Inland Revenue Board (IRB) chief executive officer Datuk Sabin Samitah and Royal Malaysian Customs Department director-general Datuk Seri Subromaniam Tholasy — both shared the same sentiment on taxing the digital economy, in particular the foreign entities providing services in Malaysia: it is a challenge. Baker Tilly Malaysia tax partner and Asia-Pacific leader Anand Chelliah opined that the IRB and Customs both have their work cut out for them to identify and implement tax collections and recovery mechanisms for the digital economy. “For corporate income tax, the issue of attributing income to business operations, and according a fair share of deductible expenses against it, is an arduous task. “In terms of [the] goods and services tax (GST), every digital economy model has its unique or distinguishing features in respect of its supply chain process and thorough examination of the structure would be needed to ascertain where, and how the GST laws will impact the transactions [and to then] attribute the GST obligations and compliance on the parties involved. “It is expected that [the IRB and Customs] will be gearing up to take on these challenges in the foreseeable future through training and recruitment of specialist forces,” Anand told The Edge Financial Daily. Crowe Horwath KL Tax Sdn Bhd managing director SM Thanneermalai also implied that it would not be an easy process for the authorities. “For example, when you buy a product from a foreign e-commerce provider, you use your credit card and the money goes to an offshore bank account, and if the goods sent to Malaysia are not subject to customs duty at the point [of delivery], then the income that the foreign provider makes from providing the goods or services goes overseas, perhaps in [the] Cayman Islands or [the] Netherlands where they may have tax breaks. “So that income leaves Malaysia and the foreign company providing the service is not present in Malaysia, so they are not subject to Malaysian income tax. “When it comes to GST, there may be a supply of goods and services, but when you have hundreds of thousands of consumers [purchasing goods or services] through digital platforms, [it becomes difficult to track]. So how do you impose tax? [One possibility] is since most of the purchases are done through credit card, they may come up with a new mechanism where the credit card company collects tax due on the goods or services on behalf of the government,” he said. Deloitte Malaysia tax partner Tan Hooi Beng said it is important that the foreign service providers to be subjected to GST, as an absence of the charge will create a disparity between them and local service providers, who must pay GST. “Furthermore, as other countries globally implement these rules, local Malaysian digital service providers who provide services to customers outside of Malaysia will need to register in these foreign GST regimes. “If Malaysia does not follow suit, it disadvantages its own businesses and reduces tax collection,” he said. Anand noted that there are players in the digital economy that operate in countries with lower tax or lower cost jurisdictions, which they legitimately structure to maximise their tax efficiency and operations. “Tax planning is not wrong. 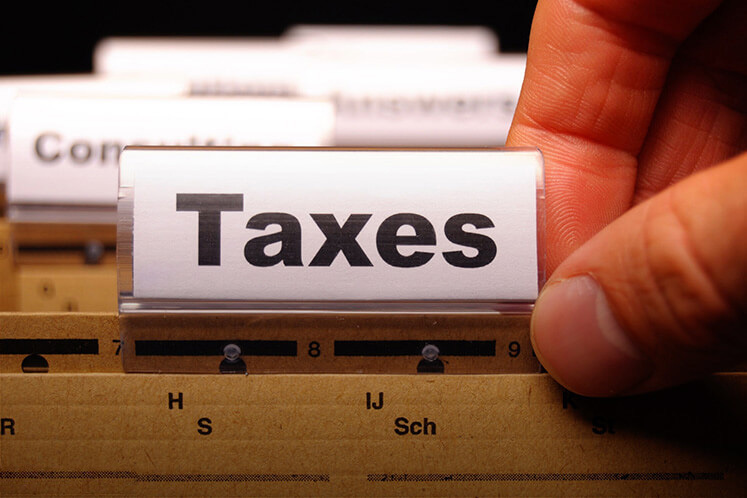 It is the legitimate right of any taxpayer to arrange their affairs in a tax sensible and efficient manner. “However, we need to be mindful that the logistics, warehousing and transportation businesses that support the digital economy do pay their fair share of taxes in the jurisdictions that they operate in,” he said. On whether tax laws would need to be drastically revised, Anand said there is a possibility. “Perhaps, a shift towards community-based taxing laws aimed at taxing such entities based on pre-agreed tax rates on turnover, or activity levels across borders. “We need to be mindful that bilateral tax treaties between countries currently determine the taxing right of business profits, which would need to be addressed otherwise. “This leaves much for tax authorities to ponder on,” he said.